Indian Institute of Technology Madras (IIT Madras) is all set to host a major International Conference on Construction Materials and Systems as part of RILEM Annual Week. This event is coming to India for the first time in its 71-year history and will be held from 3rd to 8th September 2017. The International Union of Laboratories and Experts in Construction Materials, Systems and Structures (RILEM, from the name in French) was founded in June 1947. Today, the new meaning of the acronym RILEM (Réunion Internationale des Laboratoires et Experts des Matériaux, systèmes de construction et ouvrages) emphasises its dominant focus on worldwide activities, covering 70 countries. The mission of the association is to advance scientific knowledge related to construction materials, systems and structures and to encourage transfer and application of this knowledge worldwide. The conference will be a convergence of key international and national experts in relevant fields and is a major event involving several top researchers in the areas of construction materials and systems. The conference is the flagship event of RILEM Week. The conference will cover several themes related to construction materials and systems, with the objective being to provide state-of-the-art coverage on cement and asphalt concrete, heritage materials, and building systems. The technical sessions and special workshops highlight the recent trends in research and development in the areas of concrete science and technology, and the non-destructive assessment and conservation of heritage structures. Several participants from the industry, both local and international are expected to take part. They would also set up a large exhibition of construction material related products. The interactions and discussions at the conference are expected to significantly contribute to the process of infrastructure development that is currently in full swing in India. Besides the conference, IIT Madras will also host the RILEM Week at Chennai, where all the standing committees and some of the active technical committees will meet. 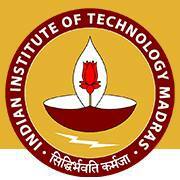 Indian Institute of Technology Madras (IITM) was established in 1959 by the Government of India as an institute of national importance. The activities of the Institute in various fields of Technology and Science are carried out in 16 academic departments and several advanced interdisciplinary Research Academic Centres. There are over 100 well-equipped laboratories in the Institute for teaching and research. The Institute offers undergraduate and post - graduate programmes leading to the B.Tech., M.Sc., M.B.A., M.Tech., M.S., and Ph.D., degrees in a variety of specialisations. IITM is recognized world-wide for its intellectual leadership and ongoing innovation across every major discipline of engineering and pure science. IITM is a residential institute with more than 550 faculty and 9000 students. Students from 18 countries are enrolled here. The campus is self-contained and is located on a beautiful wooded area of about 250 hectares. It is home to approximately 300 species of trees and plants. IITM fosters an active entrepreneurial culture with strong curricular support and through the IITM Incubation Cell (www.incubation.iitm.ac.in).